Disturbing illustrations which depicts the evils of modern society | Do You Know? Humans have advanced so much in fields of technology and science that now it is impossible to imagine our world without these tech gadgets, mobiles and all this stuff. We are slowly becoming slaves of our invention. People are deteriorating when it comes to living a healthy and socially active life. The mankind is changing from active to stressful and troublesome life. 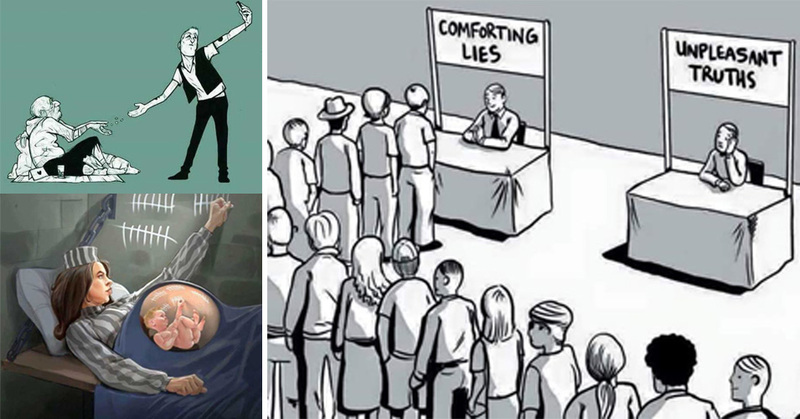 Here are some illustrations that depict and criticize the downfall of modern society. 5. What happened to brains ? 7. Why so busy always? 10. Phones were for calling only once. PS : Most of images are from Steve Cutts Illustration. Artists of some pictures are unknown though, if you can help us update it, you are most welcome.